Sick of Hard Drives overheating and failing, I now put them in a row with a fan blowing air over them. I also remove them from their plastic housings if they run warm. You can see my inverter on the right-hand wall. This produces 240 volts from solar-charged batteries to run our three Apple Mac laptops. 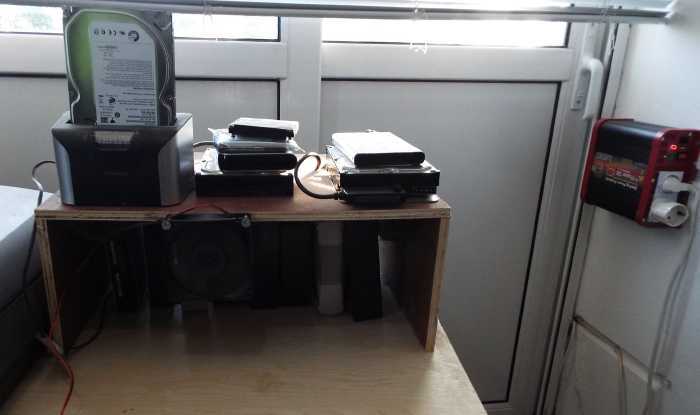 The 3" (80mm) fan, screwed to the shelf, blows air over the drives. It's powered by a simple 12 volt "wall wart" power supply. I ought to run it directly from the 12 volt batteries but that means running another cable! This PSU and connection kit from Amazon lets me connect drives (even ATA) without need for a caddy or housing. 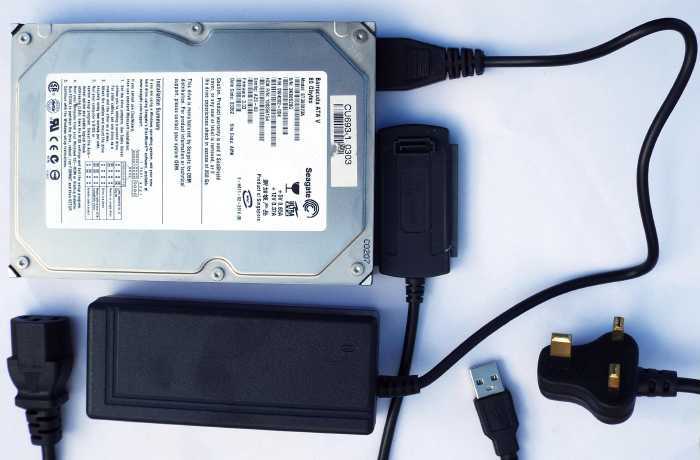 It was listed as "Importer520 USB 2.0 to 2.5" 3.5" SATA/IDE Hard Drive HDD CD-Rom 3.5/2.5 Converter Adapter Cable + AC Power Adapter".